Are you looking for a fun new way to spend some time at the Magic Kingdom? 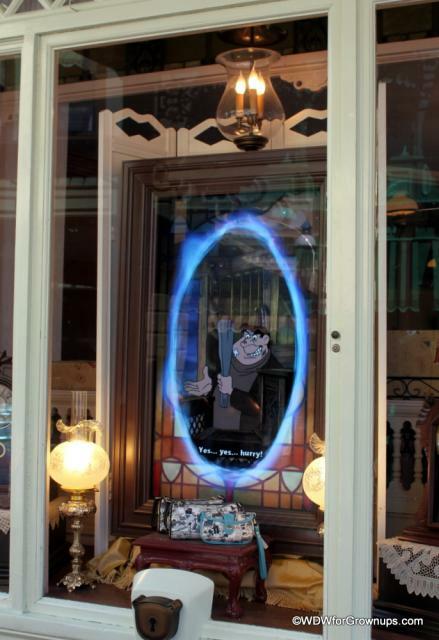 Why not give Sorcerers of the Magic Kingdom a try! Disney's new live action role play game opened in February and guests have been lining up to save the Kingdom ever since. Recruiting Station in the Firehouse. 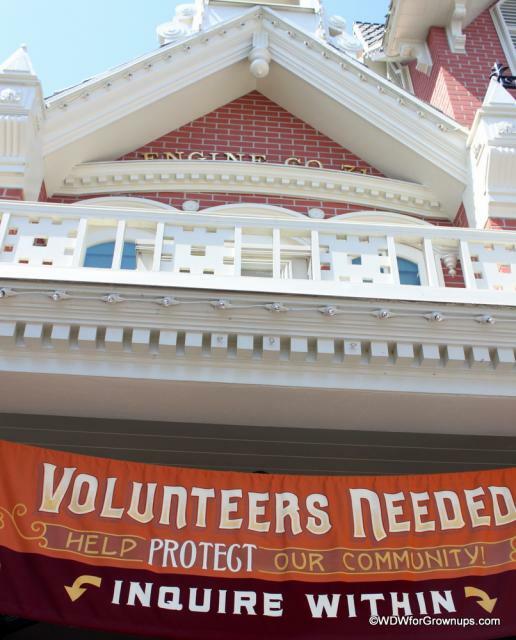 You can read more about the history of the Magic Kingdom's Town Square Firehouse here! 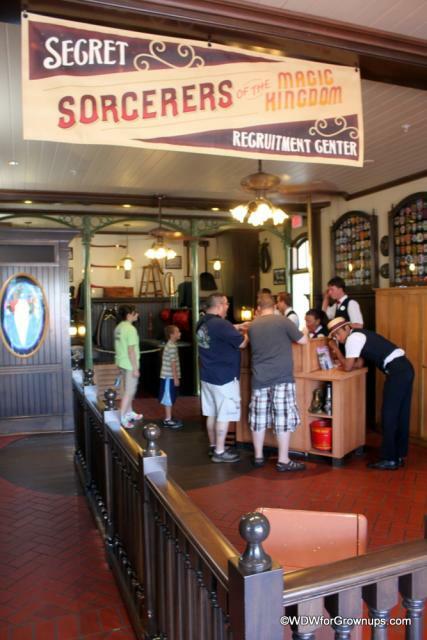 As you walk under the train station and enter the Magic Kingdom you'll find the Sorcerer's Recruiting Center located in the Firehouse. At the recruiting station cast members will greet you and explain the game. They'll ask you if you're willing to battle the Villains in order to help Merlin save the day. Once you accept this challenge you'll be handed your first pack of spells and taken to a practice station to learn how to cast them. You'll be given a map and assigned a quest! There are a couple ways to play. You can play as a group in which every one can get a pack of 5 random spell cards but you will only activate one key card, and be assigned one quest that you can all complete together. You can also play as individual, in which every person in your party will get a pack of 5 cards as well as activating their own key card. 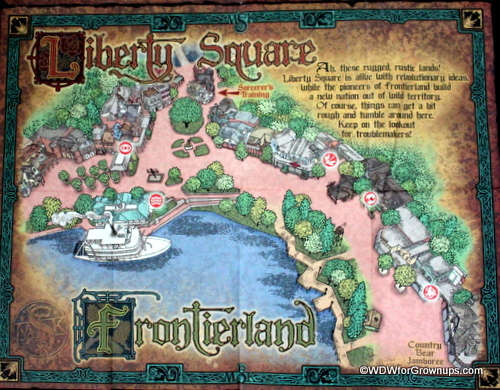 In this scenario you may be sent on quests to different areas of the park. Currently Quests are active on Main Street USA, Adventureland, Frontierland/Liberty Square, and Fantasyland. Your choices are then to split up for your quests, or you could take them one at a time. Either way, apprentices should be sure to keep your activated key card because it is what will let your game play continue over multiple days without having to go back to the beginning. Each adventure consists of four or five stops in a particular land. Symbols on the map will show you the path that you need to take in order to beat the Villains. When you arrive in your portal area you'll know that you're in the right place by a special medallion in the ground. Step up and use the Portal Key Card to open the Mystic Portal. As the portal opens you'll be given a briefing of what has happened and how you can help, audio cues within the story will help guide you as to which is the best card for you to use. Defend the Kingdom as you interact with the Portals by holding out your cards and using them in different positions. As you win your battles you will be given clues as to the next stop on your quest. Due to the incredible popularity of this interactive attraction, play has been temporarily limited and will operate only on the "Easy" game play mode. This will allow the Imagineers a chance to figure out how they can eliminate the lines and crowds at each portal that have been occurring when advanced players stop to strategize and apply advance card battle tactics. Going into the some of most busy times of year, Disney wants as many guests as possible to be able to enjoy the game. If it sounds like you want to play - don't forget to pin it! Have you played Sorcerers of the Magic Kingdom yet? Are you looking forward to giving it a try on your next Walt Disney World vacation? I found Sorcerers to be a fun game that held the interest of family members both young and old. You can give just one quest a try, or keep returning and complete them all. 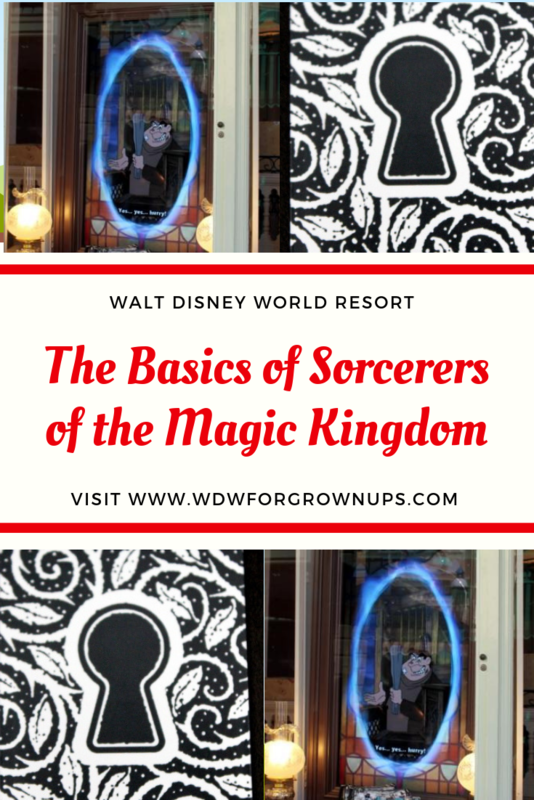 Leave me a comment and let me know what you think about Sorcerers of the Magic Kingdom! I plan on trying this out next week! YAY!!!! Thanks for the info about the recruiting station! We tried this on our last visit and we were very disappointed. Lines were longs and after two or three portals it almost felt like a chore. We eventually gave up not touching the cards again till we got home. Felt like our time could be better spent exploring the park and rides rather then standing in a long line to watch a video and holding up a random card to effect the outcome. This sounds like a lot of fun! Hope they get everything working better by the time we go in November. It is incredibly fun, guys! You will love it! We are so hooked on this game. Remember you can collect a packet of cards for every admission ticket/pass that you have once a day, so even if grandma doesn't want to play, collect the packet meant for her! And, you get an extra packet after you've defeated all the villians and have to start over. Have fun! P.S. I think a big part of the fun is interacting with the other guests in the park, trading "doops" (duplicate cards) for what you need to complete a set. That's what we did Loye, and my daughter loved it. She's 18 and was trading cards with lots of little kids. It was great to watch them interact, I think that the card trading part may have been more fun for her than the basic game. Sarah M - yes, the numbers on the bottoms of the cards do come in to play at the more advanced levels of play. There's more strategy involved, and spells can be combined for more power. On the higher levels, you can't just hold up any card to win. AndrewW - As I understand it, there are currently a couple of glitches in the advanced levels of the game and the Imagineers are working on ways to make it go more smoothly for everyone. As I mentioned at the moment it's limited to the basic play to cut down on the lines, rumor has it that more portals will be opened soon to spread out the game play. JeffC - As I understand it they've opened a second recruiting station in Liberty Square as well. Overall I don't recommend this for a park neophyte or folks with a very limited time on vacation. To me, when talking about adults, it really shines for locals and people that have a longer time to spend in the parks that can play in a more dedicated or leisurely manner once the "basic play" restriction has been lifted. Me and my family love it!! 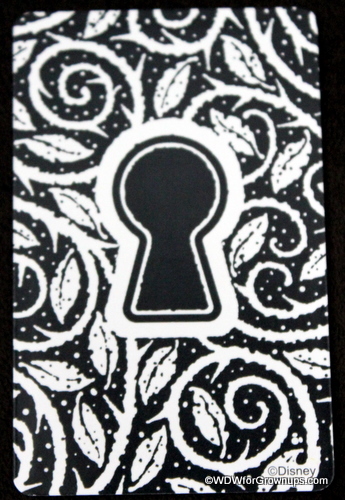 We each have our own key cards and have a blast playing. It does take some time but we are always there so it doesn't nigh us. My 5 year old loved it the most though. It's great for little kids who can't always go on the big rides cuz of there size. It lets the other people who can go on the big rides the time to go while the little ones defend the magic kingdom!! Plus u meet some really really awesome people in the lines. First day my 5 year old was standing inline w his first 5 cards. An older gentleman comes up to him and asks how he likes it and my son replies "I love it. I love if more then the rides". I explained its his first day and I can't get him away from the portal. The guy then reaches into his backpack and pulls out a deck of 80-90 cards. All his doubles ECt. Tell my son go through it and can take the ones u like and as many as u like. My son only gets about 6 cards which where some of his fave characters. Like Donald (which is now his fave card that he plays the most) lightning, walle and a few others. But that's how nice some of the people we have met r!!! What a sweet story Susy! It's fantastic that people are being generous with their duplicates and helping to magic magic for young sorcerers! We were at Disney World last week. My family loved playing the game and got cards whenever we can. Fun playing especially my 5yr choosing the spells and how excited she got saving Tiana or just defeating the villain. Even got to trade for cards we didn't have. Word of advice, trade cards within same category. Star for star, crecent moon with crecent moon, etc. You'll find it at the bottom left of the card. As we went around to the different portals, there was at most three ahead of us playing so the wait wasn't too bad, plus my two girls just liked watching the animations. not really. I araledy played all of the missions and I still had time to do everything I wanted to do. And our family didn't get up early and get to the park as soon as﻿ it opened either. You can take brakes in between each mission. And if you play 1 or 2 and not like it, you don't have to play it anymore. But most people get addicted. Hope you have fun playing!!! Can I buy a case of Sorcerer's of the Magic Kingdom Disney Cards? No, they're not selling the cards at this point. Maybe look on ebay? My daughter (20yrs) and I played it this past week while we were there. We had an amazing time. We had some great conversations while waiting for our turns, there were never more than one or two in front of us. A very kind gentleman gave me several of his duplicate cards. One of my favorite parts of playing the game was to see the little children come up and watch the animations with me, they were fascinated and so I was able to introduce a few families to the fun myself. We both traded cards with the other people playing, it is truly an all around/all age game. Unhappily, although we came home with both maps and all of our spell cards, my key card is missing, I'm afraid I must have dropped it on our last walk to our room before leaving. Does anyone know if I will be able to pick up the second round of play (as master sorcerer) when we return or will have I to begin all over again? Hi Mary-the data is actually stored on your ticket/annual pass so you can recover your data if you lose your key card! The game was very fun but it was not my moms cup of tea. So is there a point when a kid like me can do it alone? I loved it like crazy!!! I do agree with Sarah M.
My Daughters Grandmother is just as addicted to the game as we are ~ So it's an all around family adventure! We played this for the first time this week (2 Seniors!!). Although I agree it is fun, we would not want to play without doing anything else in the park as our friends did. We completed 1 area then went on some rides, moved to the next area completing that quest then more rides etc. We shall continue our quest when next in the park. It is a good thing to pass the time whilst waiting for a fadt pass ride! My family had a blast playing this game. We had discovered trading cards with other players to get rid of duplicate cards. We seen people carry books that has their cards in sleeves to protect them. I think the park should make these books available as they are losing money to EBay. It gets new players talking with exisiting players for tips and how to's. It is an adictive game. We have played twice so far once as individuals and once as a team. When you conquor the villians and save Merlin it gives you such a great feeling. I have found people cheering. Can't wait to play today. So glad to hear people are having fun with this! Is this only at WDW? Hi Jessica! Yes, Sorcerers of the Magic Kingdom is currently only offered at the Magic Kingdom in Walt Disney World. There is also an at home card game component to it, however those have to be purchased in the Magic Kingdom as well. My question is how long, on average, take to complete the quest in its entirety? Kelli - There are several factors that to the amount of time you will spend on a quest, but each quest on the basic level is about 30 minutes long if you do nothing else during that time. The length of time you have to spend at each station though can change if there are a lot of people playing on any given day if there are a lot of people playing and you have to wait in line for your turn.